DAYTONA BEACH, Fla. — The NASCAR K&N Pro Series West season continues with the Sunrise Ford 150 presented by Pinnacle Peak Steakhouse at California’s Orange Show Speedway on Saturday, May 20. Below is a look at the Sunrise Ford 150 and some of the selected participants. • Reigning NASCAR K&N Pro Series West champion Todd Gilliland of Sherrills Ford, North Carolina, has won four straight races entering Orange Show and can tie the series record for consecutive wins this weekend. • His fifth straight pole award to open the season last weekend at Washington’s Spokane County Raceway broke the old series mark of four in a row. • Gilliland owns a 20-point lead over Bill McAnally Racing teammate Chris Eggleston. • In continual operation since 1947, the quarter-mile Orange Show Speedway is the longest tenured race track in the country. • The NASCAR K&N Pro Series West made its inaugural visit to Orange Show in 1966, and the series held at least one race at the track in every season through 1973 before returning in 1978 for one race. • After a 38-year hiatus, the K&N Pro Series returned to Orange Show in 2016. • This is the series’ 12th event all-time at Orange Show. • Six different drivers have won previously at Orange Show, with Marvin Porter winning the inaugural event in 1966. Jack McCoy leads all drivers with four wins at Orange Show, including three in a row from 1969-1971. • Six different drivers have earned poles at Orange Show, led by Jack McCoy with three. • The record for most cautions in an event at Orange Show is nine, set in 2016, when 63 laps were run under the yellow flag. 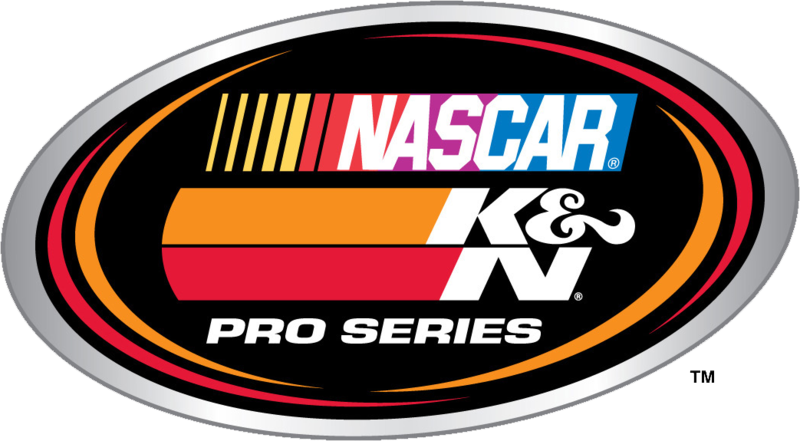 • There have been an average of 2.7 lead changes in K&N Pro Series West races at the track. 1-lap Qualifying Record: Ryan Partridge, Ford, 67.154 mph, May 2016. 150-lap Race Record: Johnny Anderson, Chevrolet, 46 minutes, 19 seconds, (48.578 mph), July 1971. • Currently sits tied for fourth in the K&N Pro Series West standings with one top five and five top 10s in five starts this season. • Finished a career-best second at Irwindale in 2015. • Has six career K&N West wins with 24 top fives and 27 top 10s in 36 career starts. • Won the season opener at Arizona’s Tucson Speedway in March and is the defending race winner at Orange Show. • Has an average starting position of 2.0 and average finishing position of 2.4 in five races this season. • Won six of 14 races last season with 11 top fives and 13 top 10s en route to the K&N Pro Series West championship, becoming the youngest champion in NASCAR, national or touring, history at 16 years, five months, and joined his grandfather Butch Gilliland as a series champion (1997). • Enters the weekend on the strength of a four-race winning streak with four wins, five top fives and five top 10s in five races this season to lead the point standings by 20 over Chris Eggleston. • Has won all five 21 Means 21 Pole Awards for the series this season. • Has yet to finish worse than second in any race this season. • Finished fourth at Orange Show last season in his only career start at the track. • Was named to the 2017 NASCAR Next class on Tuesday. • Made his NASCAR K&N Pro Series debut with the East at New Smyrna (Fla.) Speedway and finished third. • Sits third in the current standings with three top fives and four top 10s through five races. • Finished a career-best second at California’s Kern County Raceway Park in March. • Finished fourth in the championship standings last season to become the highest finishing female driver in NASCAR K&N Pro Series West history. • Has climbed to seventh in the standings with three consecutive top-10 finishes, including a seventh-place finish at Spokane last weekend. • Finished fifth at Orange Show last season in her only career start at the track. • Is eighth in the current standings with three top 10s in five races this season. • Has a career-best finish of fifth last season at Colorado National Speedway. • Finished ninth last season in his only career start at Orange Show. • Despite missing the season opener, ranks 11th in the current standings with two top fives and four top 10s in four starts. • Has six career K&N Pro Series West wins. • Competed in six races a year ago and is running for K&N West Rookie of the Year this season. • Ranks sixth in the overall standings with four top fives and four top 10s in five races this year. • Sits ninth in the K&N Pro Series West standings with three top 10s in five starts as a rookie in 2017. • Todd Gilliland swept the Twin 100s at Irwindale in March and has won four straight races to date. • Chris Eggleston won the season opener at Tucson.